Log In to this site. 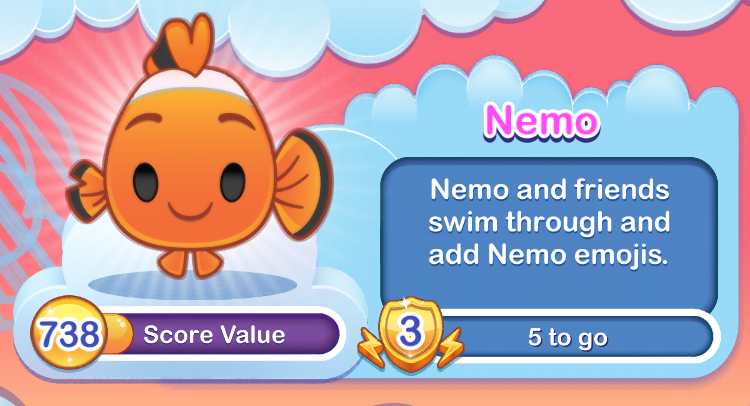 Collect every duplicate emoji from Finding Nemo to win Baby Dory. 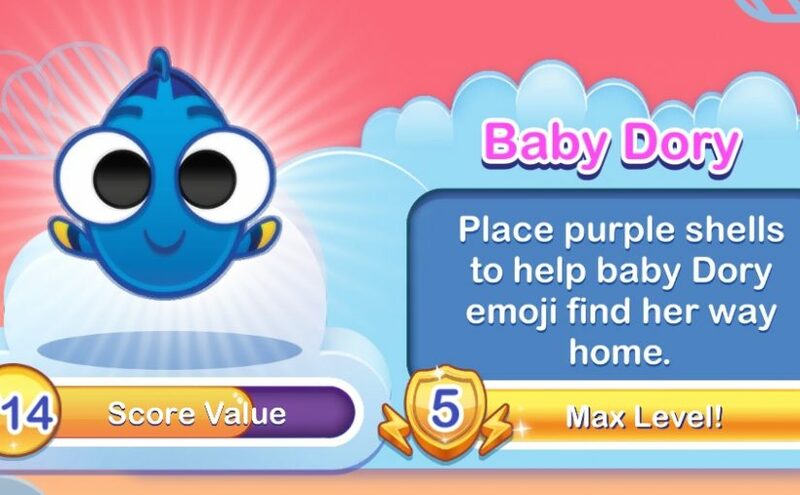 Place purple shells to help baby Dory emoji find her way home. Baby Dory’s parents, Jenny and Charlie, know how she loves shells! Touch the board to place a shell, and the emojis around that shell will become heart-eyed, making them worth more points when cleared. 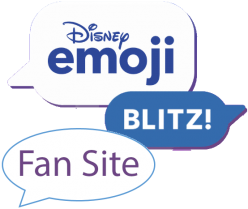 Crush and Squirt emojis ride the EAC as passing emojis merge into the current. Oh, dude. The EAC! You’re ridin’ it, dude! Check it out! 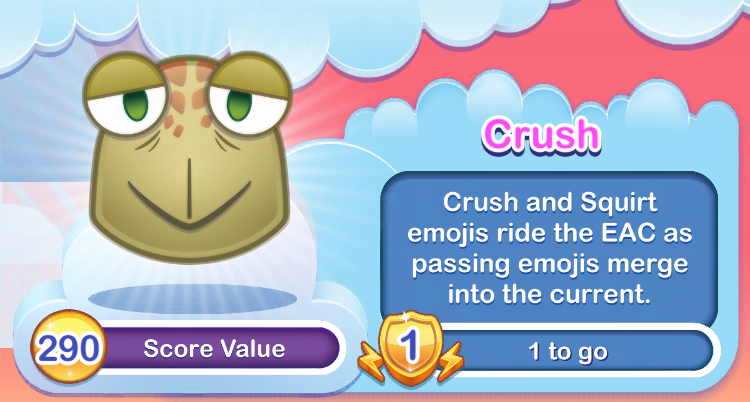 Crush and Squirt will lead emojis down the East Australian Current for a righteous time. You so totally rock! Alright, we’re here, dudes! Get ready! Your exit’s comin’ up, man! 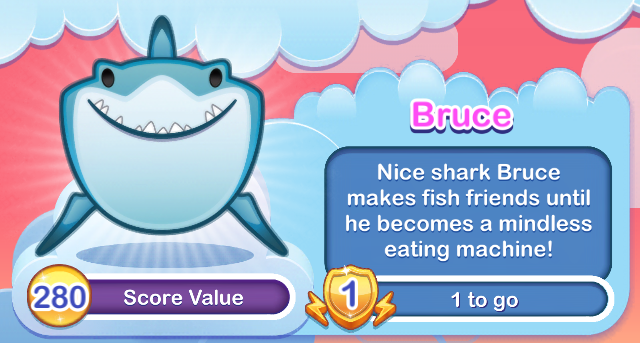 Nice shark Bruce makes fish friends until he becomes a mindless eating machine! Ever unpredictable, Bruce swims to one side to spread the love, then turns sharply to the other side and sparks fear. Which side of Bruce will you be on? 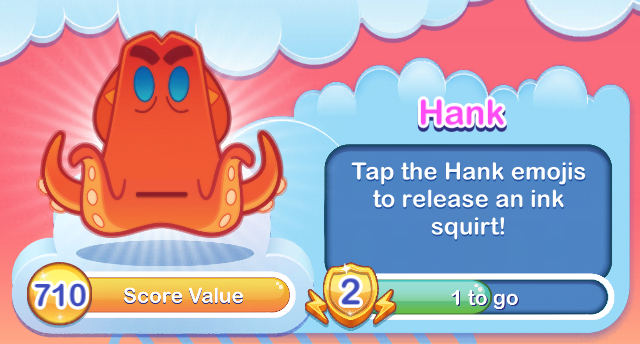 Tap the Hank emojis to release an ink squirt. Touch hank to clear the 8 emojis surrounding him. As levels increase, you can touch additional Hank emojis. 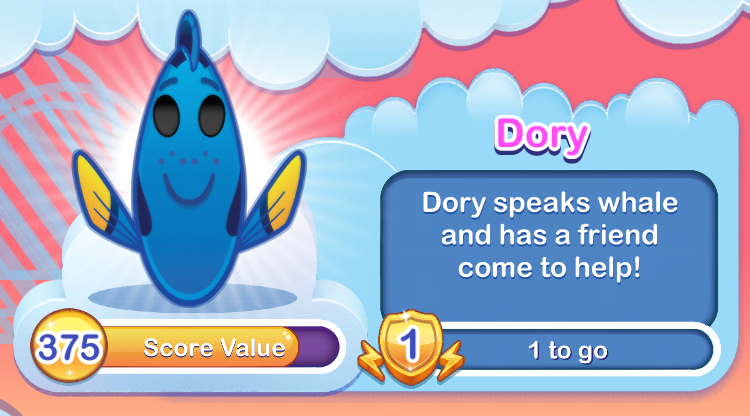 Dory speaks whale and has a friend come to help! Dory’s friend Destiny the whale shark helps in a big way by clearing a diagonal path through the board. Nemo and friends swim through and add Nemo emojis. A 150 year old sea turtle named Crush swims through on the EAC with Marlin, Squirt, and Nemo to add a dozen or so extra Nemo emojis to the board.